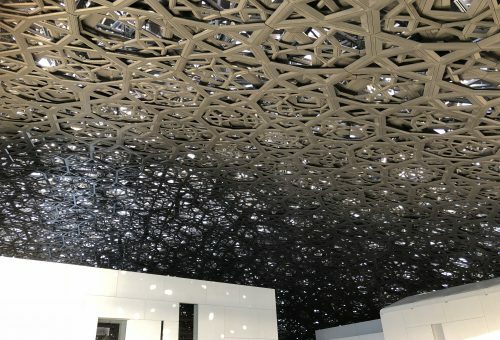 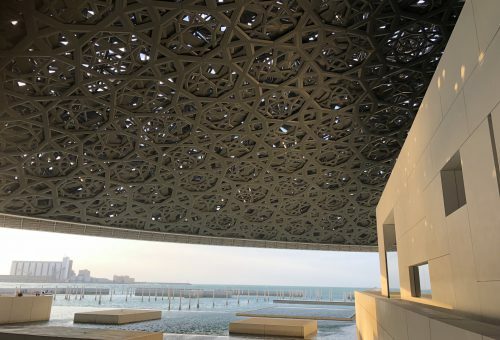 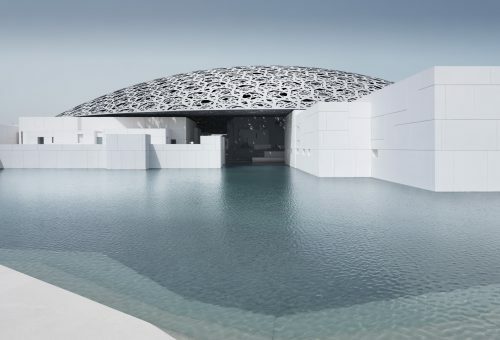 The Louvre Abu Dhabi will be built in Abu Dhabi on Saadiyat Island in “Culture District”. 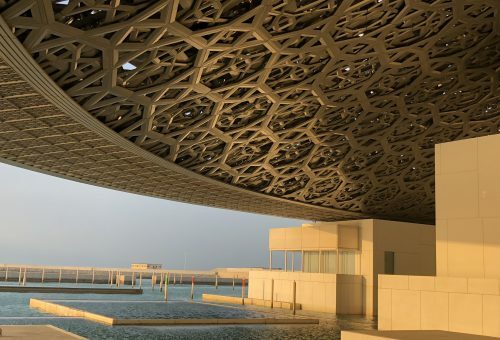 The museum aims to show art works from all over the world, especially it will set up a dialogue between East and West. 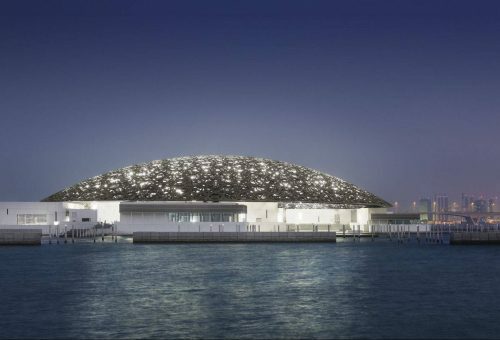 On Saadiyat Island it is not only the Louvre Abu Dhabi museum planned but also a Guggenheim Museum and the Zayed National Museum. 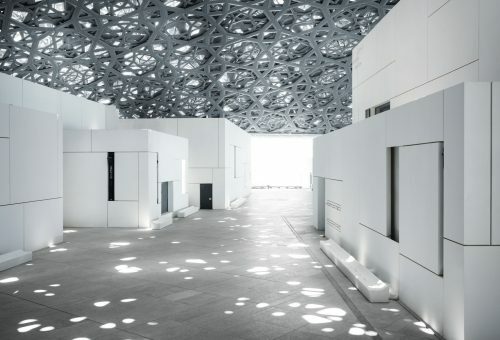 The idea and inspiration of the architect Jean Nouvel was to create a light-filled dome structure due to multi-layer aluminum profiles on the top and bottom of the steel dome structure. 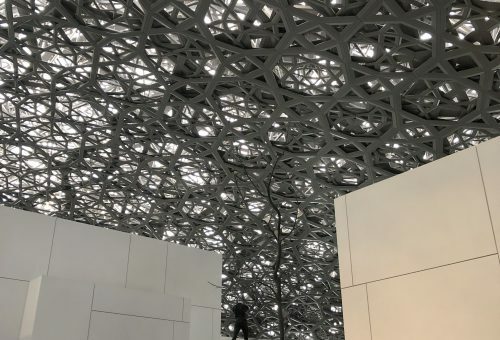 The dome-shaped construction has a diameter of about 180m, whereby the main structure of the supporting structure made of steel profiles is sup­ported in a three-dimensional truss assembly and the steel construction is covered with 4 aluminum profile planes above and below. 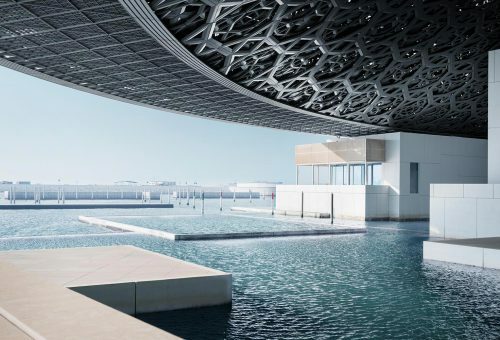 The task of engineering trade in this project was to carry out all structural analyzes of the aluminum profiles on the top and bottom of the dome, includ­ing all links and edge cladding. 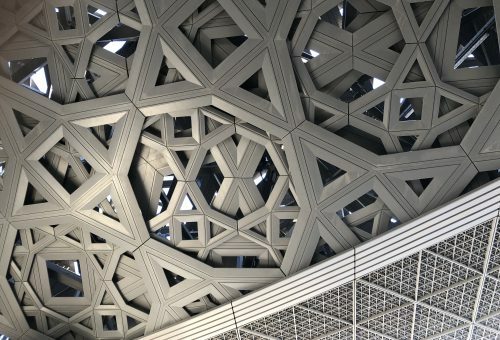 Because the individual layers of the aluminum profiles are not arranged symmetrical, the entire system had to be modeled and calculated.